Getting the best fit from your Fitbit. So you've bought your Fitbit, you take it out of the box, and you're just about to strap it on your wrist only to fit out it doesn't fit. You stand there defeated in your workout clothes, throw your brand new Fitbit against the wall, go to the freezer to grab a pint of ice cream, turn on Netflix, and cry yourself asleep. Don't let this be you! You can avoid unnecessary returns and frustration by making sure you know what size of Fitbit you need. Yes. Yes it does. 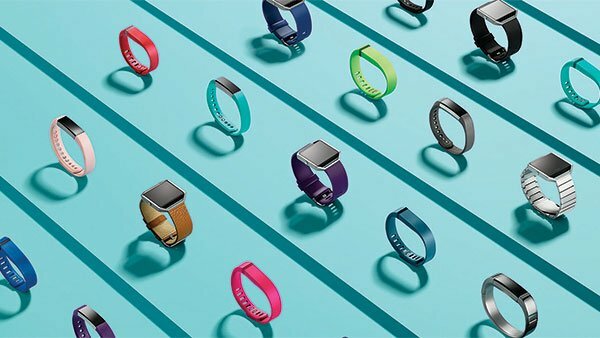 Different models of Fitbit can have multiple sizes, and getting the right size not only means that you will be able to wear it, but wear it properly and comfortably. How tight should my Fitbit be? Your Fitbit will give you the most accurate results if you wear it properly. Fitbit suggests that for everyday use your wristband should not be too tight, but rather loose enough that it can move back and forth. Also keep in mind that if you are buying a Fitbit that has a heart rate monitor, Fitbit suggests that during workouts you move your wristband about two fingers widths up from the wrist bone and tighten the band so it's secure but not tight. What sizes of Fitbit are there? If you go to a retailer - such as Best Buy, Target, or Walmart - you will only be able to find the small and large sizes. However, lots of Fitbit models actually do come in an extra large size as well, but only directly from Fitbit. Pro tip: you can usually pick the extra large size at Amazon as well. Due to the different shape and feel of each Fitbit wristband, the words small, large, and extra large don't mean the same thing for each wristband. So take a look at the Fitbit you're going to buy and measure the circumference of your wrist before making a purchase. Try out Fitbit's sizing tool if you are unsure. Take a look at Fitbit's sizing guide to make sure it fits. Take a look at the Fitbit sizing tool for the size of Alta you need. See what size fits you, with Fitbit's sizing tool. The Versa comes packaged with a wristband of each size, so you don't have to worry about buying the wrong size! Make sure you get the right size, try Fitbit's sizing tool. Updated April 2018: Added new sizing information for the Fitbit Ionic and Fitbit Versa.